You don’t use a riding mower to cut a tiny patch of lawn, or all four burners to heat one kettle, so why would you use a huge moving vehicle when you don’t need all that space. Not only will our Removal service save you money, but you will also find that your items are safer in a vehicle that is more suited for the job. Just think about how difficult it is to secure items in a large vehicle if there is a lot of extra space. Your valuable and priceless items that comprise your family’s memories could be rattling around unsecured in a large moving lorry. But with Man and Van your things will be tucked snuggly into just the right space – no rattling, no sliding, no banging. You’ll feel much better about your removal if none of your things get damaged; that’s why we ensure perfect packing of your belongings on our van every time. You might think that you have too much stuff to load onto a van. But that’s where you would be mistaken. Our fleet includes as many vans as you require, or we make multiple trips – either way, you still save money when you compare to larger companies with larger vehicles. A Moving service is not just for small house or flat removals. On the contrary, we can handle a removal of any size, including office removals and even long-distance removals. Another reason to call on our Relocation Company is if you are delivering or picking up heavy or large items, even if it’s just one item. Our low prices make it affordable to have the hard work done by our helpful movers. There are other reasons to hire our Moving Company as well. We’ll begin by explaining how important it is to use a professional removals service, which our Movers provide. When you need to transfer furniture, boxes, appliances or any bulky items from your home, to your home, into or out of a Storage unit or to a new residence, it is always much smarter to use someone who is trained in packing, removals and driving of a moving vehicle. It would be such a shame if you purchased a large sculpture for your garden or piece of art for your home, just to have it be damaged en route. If you haven’t had the training that our moving professionals have been equipped with, then this is entirely possible. A sad outcome for what should have been a happy occasion. Lifting a lot of heavy items and carrying them, even a few paces, is not something that most people do every day. Therefore, when moving day arrives, or you need to move some things to Storage or delivery an item that someone has purchased from you, you could find yourself prone and with back spasms after just a few hours. If you have ever had back pain, you know how debilitating it can be. Why risk it? 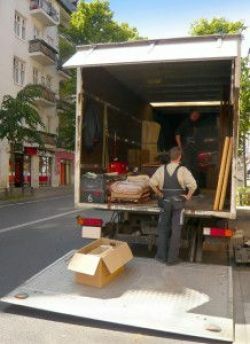 Let our experienced removals professionals do the heavy lifting for you and you will be spared the next-day soreness. Our removals specialists are trained to know not only how to lift heavy items, but also how to load them onto a moving vehicle so that nothing will get broken, nothing will get scratched, dented or bent. You don’t use a riding mower to cut a tiny patch of lawn, or all four burners to heat one kettle, so why would you use a huge moving vehicle when you don’t need all that space. Not only will our Removal service save you money, but you will also find that your items are safer in a vehicle that is more suited for the job. Just think about how difficult it is to secure items in a large vehicle if there is a lot of extra space. Your valuable and Man and Van UKpriceless items that comprise your family’s memories could be rattling around unsecured in a large moving lorry. But with Man and Van your things will be tucked snuggly into just the right space – no rattling, no sliding, no banging. You’ll feel much better about your removal if none of your things get damaged; that’s why we ensure perfect packing of your belongings on our van every time. There are other reasons to hire our MovingCompany.org.uk as well. We’ll begin by explaining how important it is to use a professional removals service, which our Movers provide. 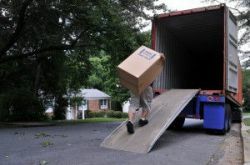 When you need to transfer furniture, boxes, appliances or any bulky items from your home, to your home, into or out of a Storage unit or to a new residence, it is always much smarter to use someone who is trained in packing, removals and driving of a moving vehicle. It would be such a shame if you purchased a large sculpture for your garden or piece of art for your home, just to have it be damaged en route. If you haven’t had the training that our moving professionals have been equipped with, then this is entirely possible. A sad outcome for what should have been a happy occasion. When you consider all the times that you have tried to drive a large item someplace else in the back of your car, you will know that it is not a pleasant task that is worth repeating, especially if there is an affordable service that can do the job in no time. Speed is one of the hallmarks of Man and Van Londonour Removal Firm, meaning that you can get back to purchasing or selling more furniture online or you can complete your home or office removal more quickly. Removals are an area where many people make the mistake of immediately hiring an expensive removals service from a large company. Removals Company is a much better way to go when you consider that you might not be bringing everything in your house with you. Get a FREE QUOTE from Moving Company today to see how affordable your home removal can be, then make an informed inventory of how much you really want to bring. It might be cheaper to sell some items before moving and use the money you earn and the money you save by hiring us to purchase new furniture for your new home. There’s nothing like starting fresh in a new flat or house. The way to start this process, is to take a walk through each room of your home, make a list (on paper, not a mental list) of all the items that you cannot live without in your new destination. Also note things that are “maybes” – things that you might be able to find a place for in your new home, but that you aren’t really that attached to. Everything that is not found on your list should be sold, donated or thrown away. You will feel much lighter once you accomplish this task and it will be clear to you that hiring a professional removals service like our is not only affordable, but the better option. Call us today to get a free quote, so you will know just how easy it is to budget for a Moving service for your house or office removal. You get great service at a great price and it will leave you thinking of all the other jobs that we can help you with. Because you know, the right tool for the job is a handy thing to have – that’s what our Man and Van service is, the right tool for the job… any job.today to see how affordable your home removal can be, then make an informed inventory of how much you really want to bring. It might be cheaper to sell some items before moving and use the money you earn and the money you save by hiring us to purchase new furniture for your new home. There’s nothing like starting fresh in a new flat or house. Call us today to get a free quote, so you will know just how easy it is to budget for a Moving service for your house or office removal. You get great service at a great price and it will leave you thinking of all the other jobs that we can help you with. Because you know, the right tool for the job is a handy thing to have – that’s what our Man and Van service is, the right tool for the job… any job. today to see how affordable your home removal can be, then make an informed inventory of how much you really want to bring. It might be cheaper to sell some items before moving and use the money you earn and the money you save by hiring us to purchase new furniture for your new home. There’s nothing like starting fresh in a new flat or house. Call us today to get a free quote, so you will know just how easy it is to budget for a Moving service for your house or office removal. You get great service at a great price and it will leave you thinking of all the other jobs that we can help you with. Because you know, the right tool for the job is a handy thing to have – that’s what our Man and Van service is, the right tool for the job… any job.